There are many restrictions for moms while they’re pregnant or breastfeeding. Most of them are well-known, like saying goodbye to wine and roller coasters for nine months. But some of them may come as a surprise. Did you know that some breastfeeding moms may have to limit their diets due to their baby’s intolerance of certain foods? Many ingredients that are commonly found in beauty products can also be dangerous when used by pregnant women. 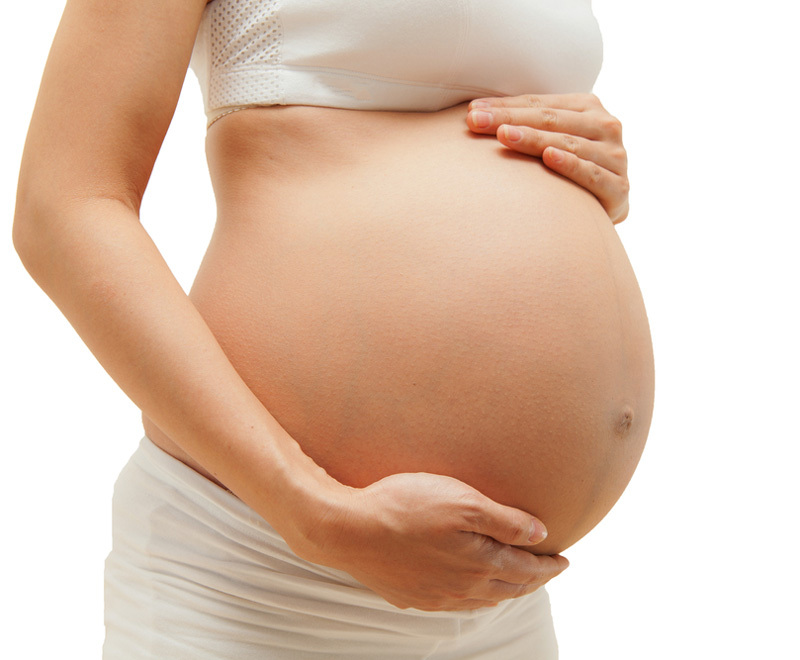 Ammonia, formaldehyde and parabens should all be avoided by women who are pregnant or breastfeeding. Dr. Fiona Rahbar, a board-certified dermatologist and host of the podcast the Spot Session, says that there are plenty of products that are safe for new moms. “Bland moisturizers like petrolatum, coconut oil, shea butter and vitamin E oil are safe to use.” She also recommends using a gentle cleanser that is “non-comedogenic,” which just means that it won’t clog your pores. One of America’s favorite moms, Chrissy Teigen, has talked about her love for Cetaphil’s cleanser on more than one occasion. The face soap is both creamy and mild, which is perfect for pregnant moms looking for something without a strong scent, and nursing moms who may be more prone to dry skin. If it’s safe to eat, then it’s safe to use. We usually associate sun damage with fine lines and wrinkles, but most ingredients that claim to reduce wrinkles aren’t safe for use in pregnancy and breastfeeding. All retinol products (like vitamin A, retinoic acid, and tretinoin) have been deemed unsafe for use, but there are some other options. Vitamin C is considered a safe alternative and can be found as the base ingredient in many over-the-counter serums and oils. Of course, if you’re taking acne medications you’ll want to speak with your dermatologist before trying to conceive or as soon as you find out that you’re pregnant. Many acne medications should be avoided in pregnancy. If you’d rather avoid the risk (and extra work) by facing your fine lines and dark circles head on, Kathy Fray author of "Oh Baby," "Birth-Babies-Motherhood," "Midwife" and international private maternity consultant has a simple rule of thumb for you: “If it’s safe to eat, then it’s safe to use.” Although, she says to remember that safe doesn’t equal tasty, so don’t go trying to satisfy any pregnancy cravings with your skin cream. The truth is that there are few things that are as good for your complexion as a good night’s sleep and a low-stress lifestyle. Both of which are in short supply when you’re at the end of your pregnancy or if you’ve just brought home your new baby. Eventually, you will be able to return to your regular skincare routine. But, in the meantime, we hope some of these alternatives will help.